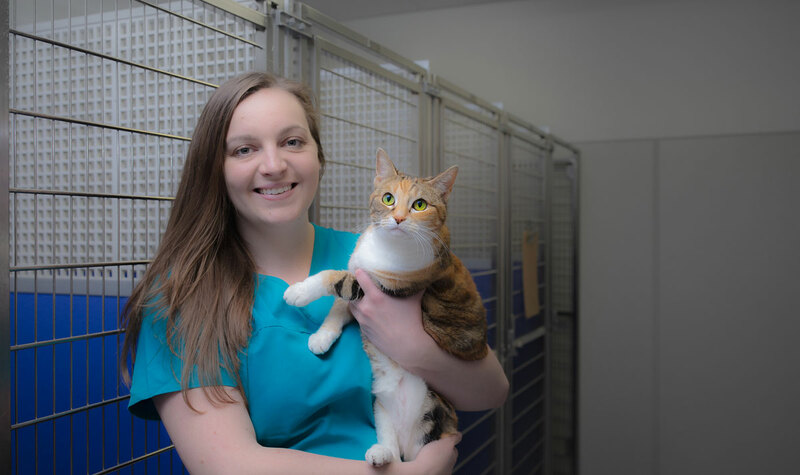 Riverstone Veterinary Hospital offers cat boarding facilities that ensure your kitty is spoilt rotten whilst you are away. Your cat will be staying in air conditioned luxury, in an area of the hospital that is super quiet and away from dogs and hospitalized patients. You will have complete confidence knowing your favorite kitty is being supervised by veterinary trained staff, who are here to give your pet all the time and attention they need.